If you choose to sell your home yourself you can expect to pay for signage, flyers, an attorney to draft sales papers and several hundred dollars at least if you want MLS access for your home. Additionally you have to calculate the cost of time for showing the home. If you choose to use a Realtor, your up front costs are minimal to none. Realtor’s don’t get paid unless your home is sold and fees are negotiable. Your Realtor will bring signage, flyers, arrange for Open Houses and marketing and get photographs to display on the internet. Additionally your Realtor will fit your house with a lockbox so your home can be accessed whether or not you’re home, so you can continue to go to work and attend regular activities. Once your home has been properly marketed and offers come in, your agent will negotiate for the best price for your home as well as the repairs requested by the buyer. Sellers in our area can typically expect to pay some closing costs of about 3-4% of a home’s value to help buyers with up front costs and loan fees. Once you get to the closing table, the only costs left will be Realtor Fees, mortgage payoff and taxes for the portion of the year that the seller owned the home. 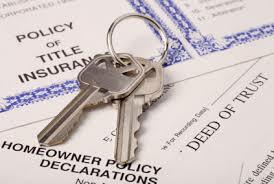 The most important thing to remember is that just about everything in real estate is negotiable. 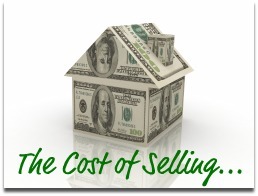 If you have more questions about other costs that may come up in a real estate transaction, give us a call.